At the beginning of January, many people focus on getting organized, setting new goals, and being motivated. This can apply to your swimmer’s approach to being recruited to swim in college as well. It can sometimes be an intimidating process, especially if you and your swimmer are just getting started. It is never too late to start, though, and it is often helpful to break it down into manageable segments. If your swimmer is struggling to get a Senior Champs time in his best event, it is unlikely to expect to achieve a US Open cut and to be recruited at a top 10 swim program. Talking to a club coach can help your swimmer develop realistic goals for time improvements between now and his junior year in high school when coaches begin getting serious about recruiting swimmers. Most coaches try to recruit swimmers who will score points in the conference championship meets. After your swimmer sets some reasonable goals regarding times, he needs to see which conferences he fits in by looking up the times achieved in the previous year’s championships. The first step is to identify some schools that would be of interest based on climate, geographic location and size. If your swimmer hates the heat and humidity, going to school in Florida or South Texas is probably not a good idea as he will only like the climate for about 4 months of each school year. If your swimmer has an idea of his academic interests, it is helpful but many students do not at this age. Fortunately, most colleges expect this and offer a wide variety of programs. Approximately 75% of students change their major at least once during college so do not be alarmed if your child does not have career goals in mind yet. Your swimmer may have grown up rooting for the hometown team and always dreamed of swimming at the state flagship school but most of these schools are very fast and this may not be a realistic goal as your swimmer gets older. There is no need to be discouraged though as there is a school for (almost) everyone – it is a matter of finding the right fit. Some coaches and college admissions officers truly do check the social media accounts of prospective students and athletes and once something is put on the internet, it can be found. This is the time for your swimmer to check all of her social media accounts and make sure nothing offensive is posted. If a friend frequently posts offensive or off-color material, it is a good idea to unfollow the friend as it can show up on your child’s wall. I always told my kids “you are judged by the company you keep” and your child would hate to be eliminated as a potential recruit based on something that one of her “friends” posted. Instead of deciding to research 50 colleges in a weekend or to complete 20 Recruit Questionnaires in one day, your swimmer should decide what is manageable along with homework and swim practice. My son used to take about an hour on Saturday afternoons to complete Recruit Questionnaires (found on most college athletics web sites) and to look up information about schools. He came home from swim practice to eat and sleep (of course!) then woke up and spent some time on recruiting tasks before going on to another activity. As he got further into the recruiting process, he would use this time to email coaches to introduce himself and to correspond with the coaches he developed a rapport with. Executing these steps will help your child get off to the right start in the New Year. 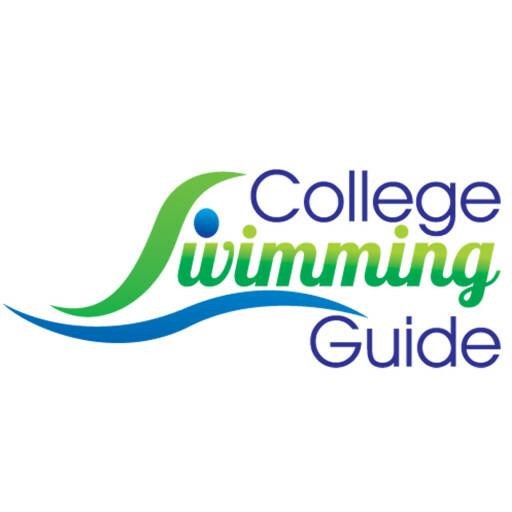 College Swimming Guide simplifies the process of being recruited to swim in college by providing sample emails to coaches, lists of questions to ask coaches, a community to interact with other parents, and spreadsheets of colleges and conference championship times to see where your swimmer fit. We also have lots of information available, such as an NCAA Rules Summary, how to identify colleges of interest and more. We will walk you through the process and let you know what to do and when to do it. Michelle Lombana is committed to helping parents like her whose children want to swim in college. When she’s not working on Conference Championship Meet spreadsheets, she can be found at www.collegeswimmingguide.com.